A curious feature of the Book of Mormon is the existence of apparent Semitic wordplays such as puns or other plays on Hebrew words. Some of these appear to be rather sophisticated. Some have only recently been noted. As far as I know, there presence was not observed in the first few decades of the Church, making it unlikely that they were crafted as some sort of scheme to add bogus evidence to the text that could be exploited to boost sales of the book or spur missionary work. The latest wordplay discovery I know of was just reported in the Mormon Interpreter by Matthew L. Bowen in his article, “‘And There Wrestled a Man with Him’ (Genesis 32:24): Enos’s Adaptations of the Onomastic Wordplay of Genesis,” Interpreter: A Journal of Mormon Scripture 10 (2014): 151-160. Bowen shows how Enos in his little one-chapter-long book appears to be deliberating using Hebrew wordplays that link his struggle with God to Jacob’s wrestling in Genesis, with multiple words linking his story and situation to that of Jacob in ways that add further meaning to the text. It’s clever, skillful, and deep, IMHO. A related wordplay or metonymy involves the name Zeezrom. A more detailed discussion of the name Zeezrom was is provided by Stephen D. Ricks at MormonInterpreter.com, along with a discussion of Jershon. Other examples of meaningful entries at the Onomasticon include Alma (more below), Ripliancum, Sheum, Zoram, and many more. In Part 1 of Book of Mormon Evidences, I point to the apparent wordplay on the name Nahom, which can fit the mourning and murmuring described at the place. There is also a possible Hebraic wordplay involving the place name Sebus in Alma (see p. 3 of the PDF). Further, there may be a sophisticated Hebrew wordplay in Lehi’s vision. See “A Temple Gone Dark: An Important New Slant on the Themes of Nephi’s Vision and Lehi’s Dream” at Mormanity. Further recent developments include the discovery of an interesting wordplay on the name Joseph in 2 Nephi 3 identified by Matthew L. Bowen, “He Shall Add”: Wordplay on the Name Joseph and an Early Instance of Gezera Shawa in the Book of Mormon,” Insights, Vol. 30, Issue 2 (2010); see p. 2 of that PDF. That wordplay also involves another intriguing Hebraic literary tool. A potential wordplay involving the name Zarahemla has also been identified (see page 2 of that PDF). Also see Matthew Bowen’s article at The Interpreter, “‘They Were Moved with Compassion’ (Alma 27:4; 53:13): Toponymic Wordplay on Zarahemla and Jershon” (2016). Another possible wordplay is at the center of a chiasmus discussed on my page on chiasmus in the Book of Mormon. Joseph had not studied Hebrew before the Book of Mormon was published, so the presence of apparent Hebraic wordplays in the text adds an interesting element to consider. Critics generally dismiss any evidence as just coincidence, but in this case, as with many others, there is little basis for the dismissal. The critic implies that all we have for the name Alma is two consonants that could just as easily be pronounced Lame-o, Elmo, Alum, Oleomo, Oily Moe, and so forth. This is not the case. [aleph] or ה [hey]), but “Alma” fits both. Transliterated into English, the first form with the terminal aleph (אמלא) is For scholars of Hebrew, there is good evidence that the name should be “Alma,” which is exactly how the non-LDS scholar, Yigael Yadin, transliterated it. 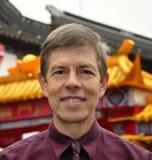 For details, see Paul Hoskisson, “What’s in a Name?,” Journal of Book of Mormon Studies, Vol. 7, No. 1, 1998, pp. 72-73 (link is to a PDF file; an HTML file is also available with just the text). That article shows a color photograph of the document that has the name Alma in it twice. John Tvedtnes also mentioned the name Alma in a well-received presentation to other non-LDS scholars, “Hebrew Names in the Book of Mormon,” where he noted that in addition being found as a male name in one of the Bar Kochba documents, it is also found as a medieval place name in Eretz Israel and as a personal male name from Ebla. Alma proves to not only be a genuine Semitic name, but is a name of an Hebraic man. While this is well after Lehi’s time, the name Alma has also been found in much more ancient documents (see p. 70 of the PDF document) from tablets from Ebla in modern Syria in 1975, dating to around 2200 B.C. (see Terrence L.Szink, “New Light: Further Evidence of a Semitic Alma,” J. of Book of Mormon Studies, Vol. 8, No. 1, 1999). Finding the male name Alma in a record about descendants early Hebrews now must be viewed not as a reason for mocking the Book of Mormon, but as a reason to take it seriously. As is often the case in the Book of Mormon, there’s more than meets the eye of the casual reader. One of the most fascinating things about the purportedly ancient text with Semitic origins is that many elements in it make more sense and gain new layers of meaning when we import information from the ancient world that was not available to Joseph Smith when he whipped out this masterpiece.